EDINBURG — RGV FC Toros president Bert Garcia said he notices an indescribable excitement from fans whenever he mentions the possibility of bringing Liga MX’s Tigres UANL to H-E-B Park. Knowing that the Tigres franchise has a tremendous following in the Valley, Garcia had long worked to bring the team to Edinburg. 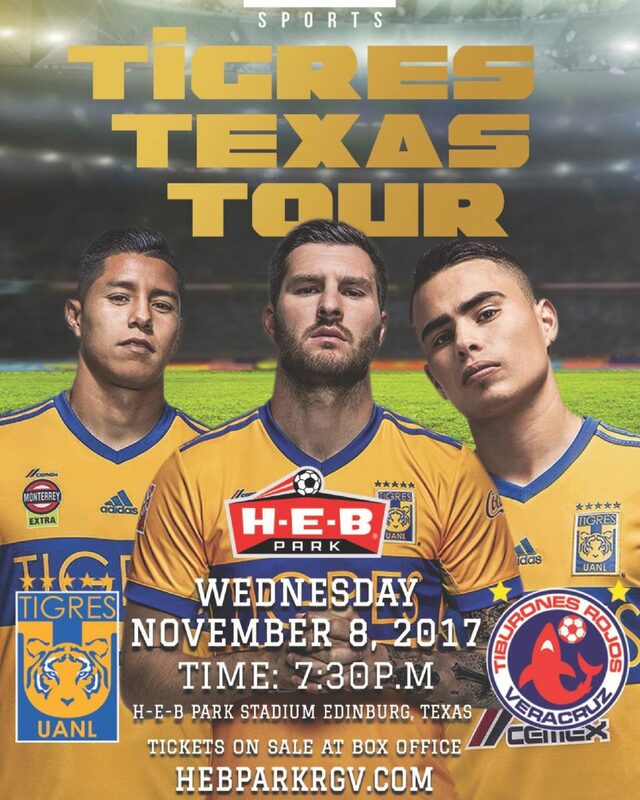 That goal finally came to fruition on Friday with the announcement that H-E-B Park will play host to Tigres UANL’s friendly against Tiburones Rojos de Veracruz at 7:30 p.m. on Nov. 8. Tickets start at $35 and go on sale Saturday. The match will be the third featuring Liga MX teams to be held at H-E-B Park, after CF Monterrey faced RGV FC on March 22 and Pumas met Puebla on July 11. Garcia said H-E-B Park already has a contract to host four more friendly matches next year, with some involving the Toros and others featuring two Liga MX sides. Tigres UANL won Liga MX’s Apertura championship in 2015 and 2016. In the most recent season, Clausura 2017, Tigres ranked seventh with a 7-6-4 record before advancing to the Liguilla final and finishing as the runner-up. The team is currently competing in Apertura 2017, placed fourth of 18 teams with a 5-1-4 record entering Saturday’s match against Leon. Veracruz sits 13th at 4-6-1. The match will be part of the Tigres’ Texas tour, which also featured friendlies against Monarcas Morelia on Oct. 7 in Houston and versus Santos Laguna on Oct. 4 in San Antonio. CF Monterrey and Tigres UANL are the two closest Liga MX teams to the Valley by proximity, leading to extensive fan bases in the area. CF Monterrey’s match against RGV FC at H-E-B Park was a sellout.